Calling ALL High School Cheerleaders! 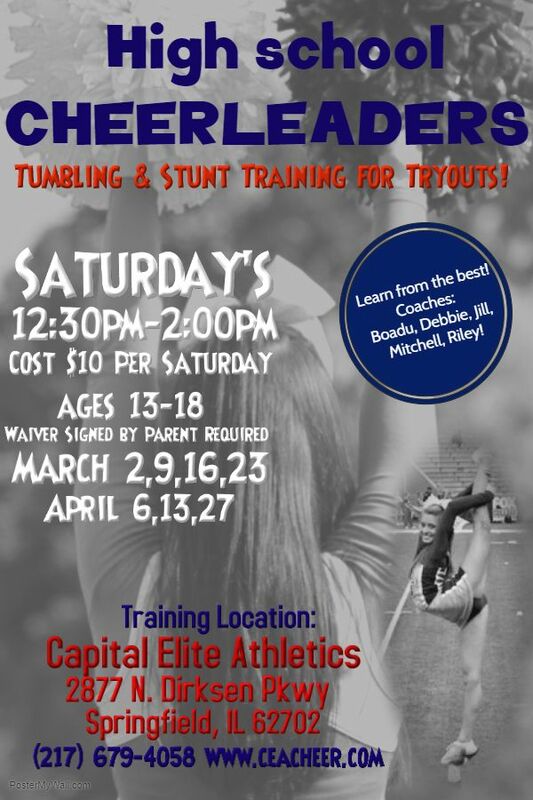 Come in and learn from the best and improve your tumbling and stunts before school tryouts! See flyer below... starts Saturday, March 2nd through April 27! Our All Star Cheer Packet for the 2019-20 Season is now available! CEA is taking new members to our all star program in May! 2019-20 All Star Cheer, Elite, Rec/Prep, Beginner Classes Info! please pardon our website as we are updating it as quickly as we can. Please email us at capitalelite1@yahoo.com to schedule a trial session of 3 lessons for $30! Who is Capital Elite Athletics? As of January 1, 2019 Capital Elite Athletics purchased Central Illinois Athletics' Springfield location. 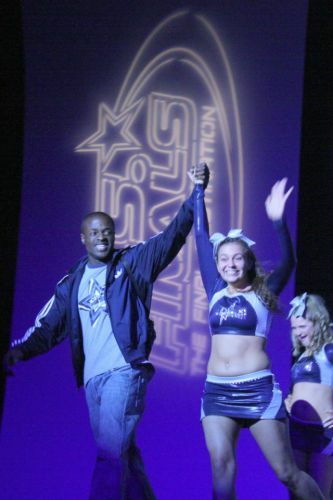 Our former head tumbling coach, now owner... Boadu Adomako helped start the original Capital Elite All Stars which started in Springfield in June of 2006. He worked 11 years for Capital Elite and continued to teach for 2 years when Central Illinois Athletics bought the program. Boadu always had asperations to own the gym and change the lives of athletes. After many years of waiting, the stars finally aligned and Boadu was able to buy the gym and bring back the family atmosphere and amazing training he was a part of and taught for years! Capital Elite is known for it's amazing all star cheerleading teams and tumbling! CEA will remain the premier competitive cheerleading program in the area! We are excited to have Boadu as our new owner with his passion and commitment to making Springfield's Capital Elite Athletics even better!